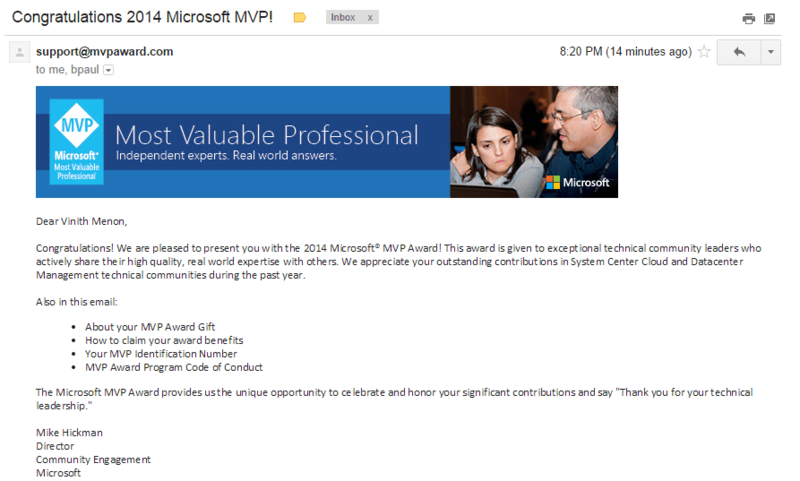 Home 2014 October 1 PowerShell, System Center I am an MVP now, feels great. I am an MVP now, feels great. Auto-Scale vRA workloads with vROPS,vRO and NSX. Create Scheduled Tasks with PowerCLI to Call PowerShell Scripts. Congratulations Vinith, on this fantastic accomplishment. For all of the work you've put into Microsoft technologies these past few years, this is well deserved!